Today was moving day for my family. Looking around the empty rooms where we’ve spent so many days and nights, I couldn’t turn off the mental slideshow. We had countless precious moments and dramatic events in that house, some involving guests and relatives, some that never went beyond our immediate family. It has been a deeply emotional time, not because we’re leaving a house behind but because of all that the house used to hold. Our time in the capital city of U.S. technology last month was so brief but it was the first time we ever sang in a wedding where we didn’t know the bride and groom. 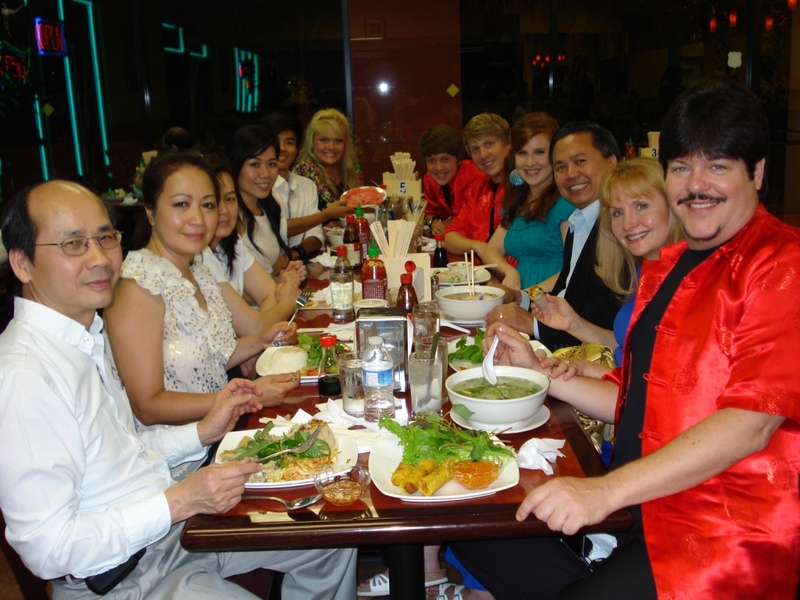 A few hours later, we felt like we’d been a part of their lives for years; we spent the whole day after the wedding laughing and teasing with them like we’d known each other for ages – this included a momentous raw squid eating contest at the Chinese buffet. 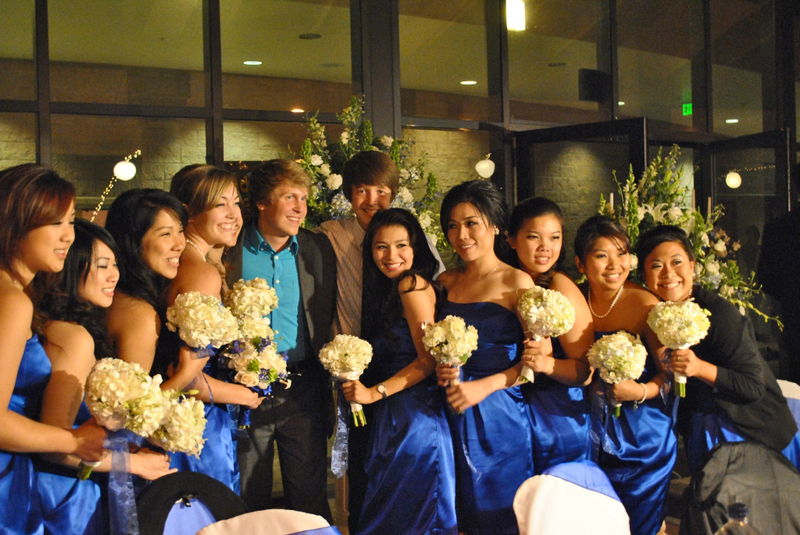 The ceremony was beautiful with nine petite bridesmaids in dark blue facing their groomsman counterparts in a large, twinkling auditorium filled with hundreds of guests. The groom was son to one of several pastors that had spontaneously requested that we come up to San Jose. One of the officiating pastors, a younger man named Hai, was going to be taking his beautiful wife and two little boys to minister in Atlanta, Georgia after many years at the bride and groom’s church. The day after the wedding, we attended their farewell party. The stories recounted by the large group of teens and twenty-somethings (including the bride and groom) were heart-wrenching and left us in tears. The bride and groom were also packing up their new life together to attend Hillsong College in Australia. It was a deeply emotional time for everyone. We weren’t expecting what we found in San Jose. The best things in life happen when we’re willing to change our plans. It was an impromptu trip; our itinerary said the flights back to our little Ohio airport left on June 23rd. What happened instead was more exciting and incredible than if we’d decided our plans couldn’t be moved. Proverbs 19:23 puts it like this: “Many are the plans in a man’s heart, but it is the LORD’s purpose that prevails.” The meetings where we shared were powerful and precious and the friendships we discovered were deep like those in a close-knit family with common values and standards. In the same way, this move was a step outside our comfort zone. It could have been even more so; we talked about moving to Asia but didn’t get very far with that idea. My grandparents still live in the U.S. and we have crucial relationships here. So we’re still Buckeyes. In an effort to stay out of debt, however, we’re renting instead of owning this time. Instead of a clean, newly built, 3 story Victorian, we’re now in a two-hundred-year-old, 2 story plantation. I no longer have a space for everything but I can get rid of anything that doesn’t fit the space I have. Not to mention, a larger quantity of stuff only means more responsibility and less flexibility; so I will be abundantly grateful for the catharsis. Every change is a chance to grow. Our outlook and attitude becomes the outcome of each new situation. Remembering the people and places that brought us to where we are and the experiences the Lord orchestrated to prompt each new phase gives you a feeling of awe. The little ups and downs in our life can feel like a big deal if we allow ourselves to think small but when we take a look at the broader picture, we’re part of something huge. This entry was posted in Memories and tagged changes, Life, Moving, perspective. Bookmark the permalink. You mean Hai and Uyen. Is this a picture of you with Hai’s wife from there going away party? Hows your new house that you’re living in?